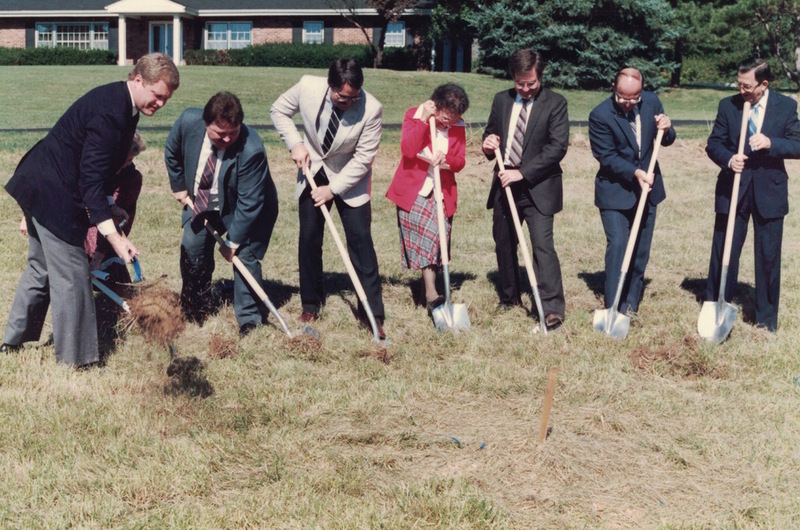 In 2004, West County SDA Church celebrated the Grand Opening of their new facility. On that special day, a charter member, Dawn Sackmann, shared the history of West County SDA Church. Today, our hearts overflow with gratitude to God as we rejoice in the official opening of our new facility. This church is a gift from God, and the fulfillment of a long—term dream for many present here today. We are not a new congregation, but we are a tremendously blessed one! And we don’t ever want to forget the ways in which we have been blessed by God! So this evening, for a few minutes, let’s slip back through time... For a few minutes let’s imagine ourselves younger, much younger, as we go back to the days when... The first artificial heart transplant took place, and liposuction was introduced. Back to the year when Princess Grace of Monaco was killed when her car hurtled over a cliff, and John Belushi died of an overdose. We are back to the year Price William was born to Charles and Di, and Ronald Reagan was our president. It is 1982! 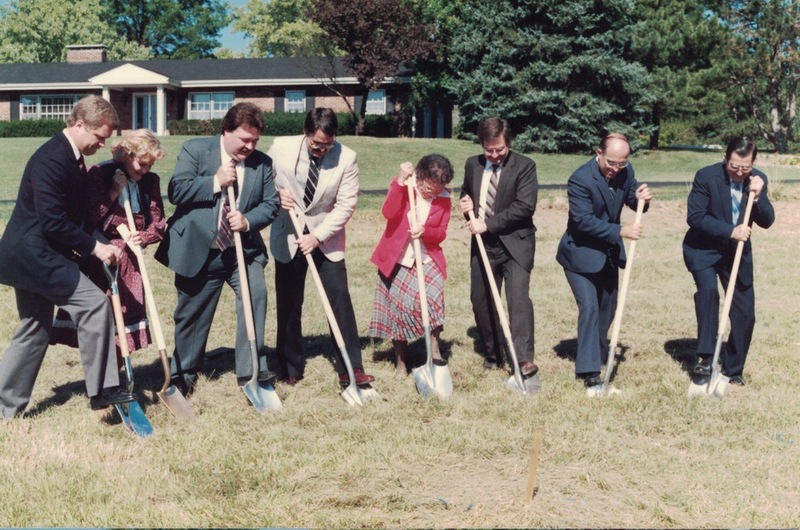 And it was then, almost 22 years ago that 12 individuals accepted the conference’s call to come out of their “home” churches and begin a new church plant in West St. Louis County. 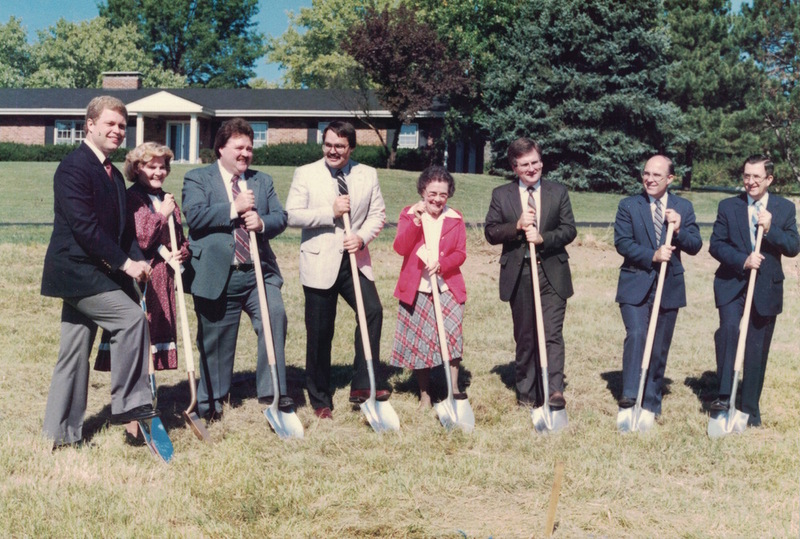 The name, “West County Seventh-day Adventist Church,” was appropriately chosen on March 14, 1982, and we met for the very first time on April 10, 1982. 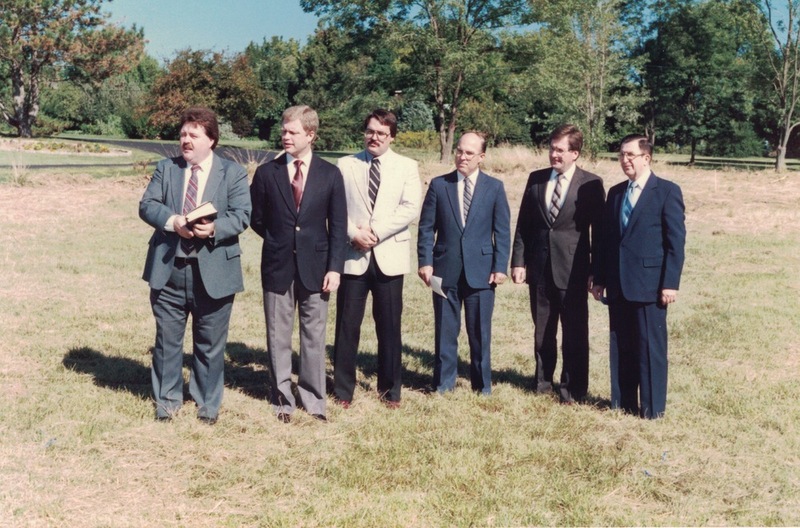 The new church was officially organized on October 16, 1982, with a charter membership of 76. Elder Murrell Tull was our first pastor, and we met at the Ellisville Methodist Church on Clayton Road; our regular meeting place for the next 2 years. 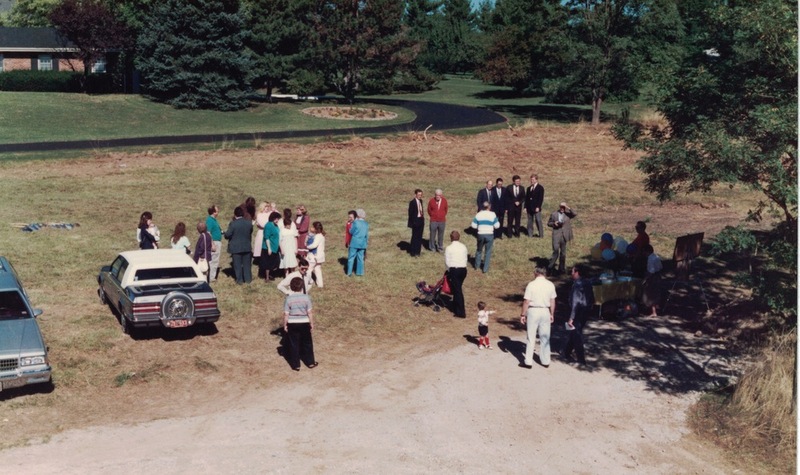 On October 1983, the occasion of our very first anniversary as a church (to the very day), the new church property was joyously dedicated! Brian Havelka and Bobby Boaz were seniors at Sunnydale that year. Stacy Mecklenburg had just begun her freshman year at Union; and l was very happily pregnant with my firstborn, Nikki! 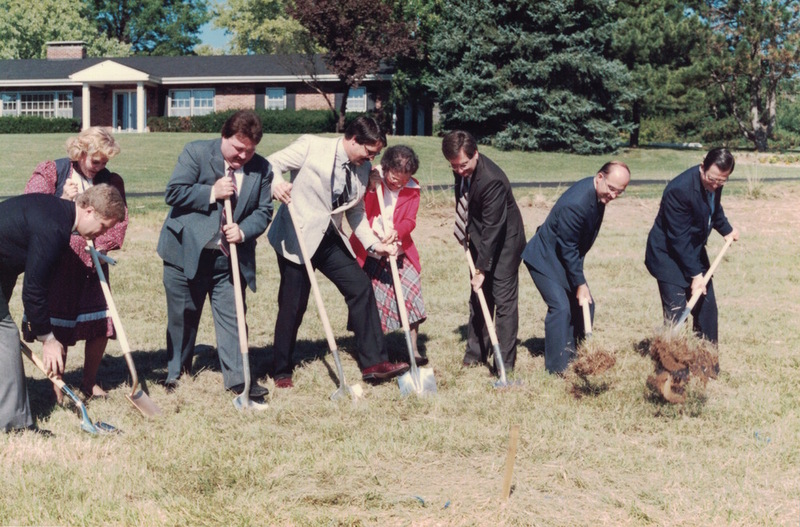 On November 17, 1984, after a succession of several brief moves, West County began to meet at the Des Peres Presbyterian Church. 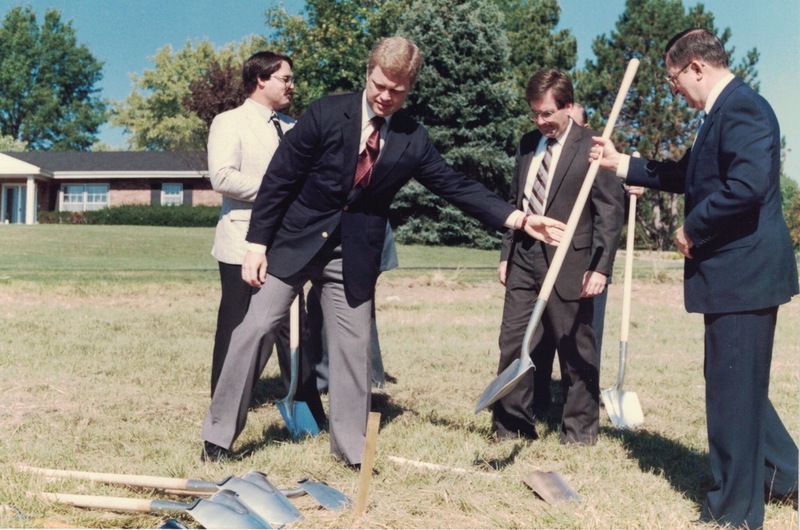 The move was “believed” to be a temporary one, because by July, 1988 West County had been meeting for six years and our membership had been climbing steadily. We felt we were ready to build a new church on our own property! Our spirits were high! Site preparations were begun and architectural renderings were submitted. The building fund received $85,000.00 in pledges. The West County Church was ready to GO! 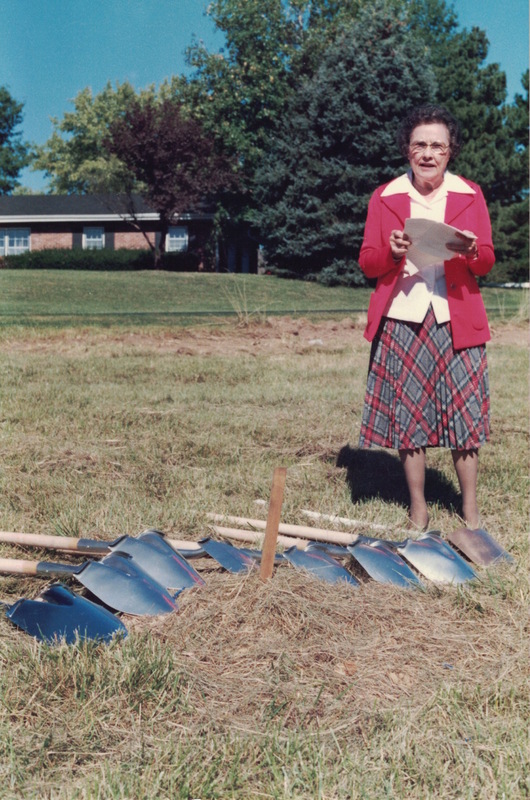 In September, West County held a Groundbreaking Ceremony and officially began the joyous task of building a church! That was our intention anyway! But it was at this point, we began to experience problems. The architect/builder reported that subcontracting bids had come in considerably higher than he had budgeted. In addition, it was determined that as much as $100,000.00 would be needed forjust piping and sewers; a figure much higher than expected! These were serious setbacks. West County attempted to move forward by reducing the overall footage of the building, but we were fighting a losing battle. While still developing an alternate building plan, the city of Chesterfield was annexed and our property became a part of Chesterfield instead of St. Louis County. Chesterfield's building requirements were more stringent which increased building costs again, and the final blow... Chesterfield's stricter building code required 5 acres to operate an 8—grade school and West County's property was only 3. It appeared there was nothing more that could be done; and it felt like a door hadn't just closed, it had slammed shut. But as one door closed, simultaneously another door miraculously opened. Unexpectedly, land adjoining the West County property went on the market. This new piece of property was 1.8 acres, which combined with West County’s 3.5 acres would be just over the 5 acres needed to meet. Chesterfield’s stricter requirement for a school. And the new property came with a house!! 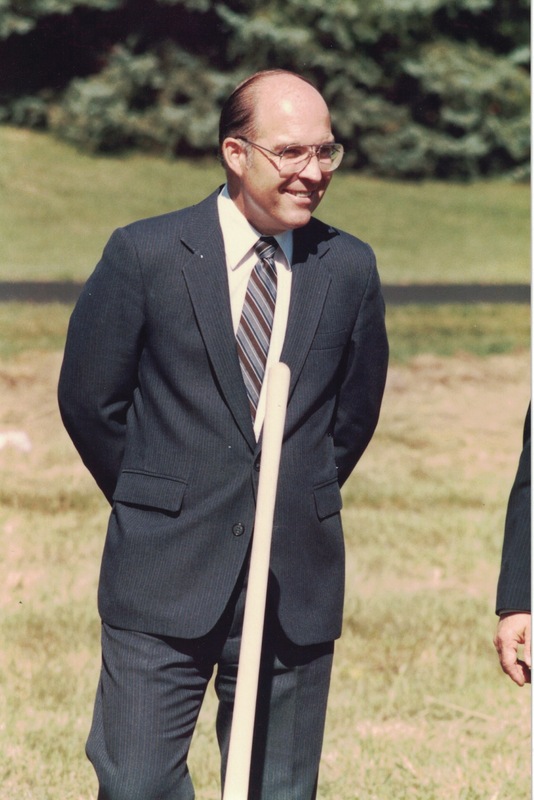 So, in the spring of 1990, feeling God was leading us in ways we didn’t completely understand, West County purchased the adjoining acreage for $225,000.00, and the house was renovated into a very nice little school. The renovation depleted our limited resources and put the church building project on an indefinite hold. But, we now owned, quite literally our own “school house", and it was with great excitement that Westwood officially opened its doors at 14760 Conway Road. The year was 1991. 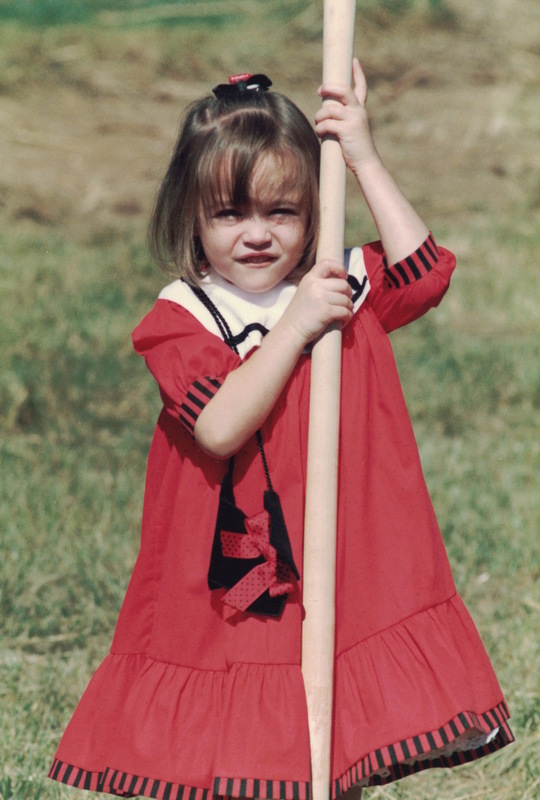 My (then 7-year-old) daughter, Nikki, was a 2nd grader that year. Jill Kleven and Shire Brooks were just ahead of her in 3rd, and Jan Bitzer was our teacher, with a total of 15 students enrolled. 1991 passed... and then another year... and then another. They were good years! Fred Riffle became our new pastor; more time passed, and eventually he was replaced by Dennis Mix. Both of these dedicated men were loved and appreciated very much! Despite their diligence, some of our long-standing members moved to other cities and states, and a few of V, our number passed away. Our membership, which had been slowly, but steadily growing through the years was leveling off. And while our hope of having a church of our own remained strong, we began to realize our congregation was just too small to support a major church building project. It was at precisely this time, we realized the real potential in what God, in His providence, had already provided for us! Our beautiful, country-like property had been serving our school well, AND while doing so, it had increased a little in value over the years! Just a little! We had paid a total of $360,000.00 for both parcels, and were awed when a land developer offered to purchase our land for an amazing 3.5 million! $3.5 million!! Our property had increased in value 10X! What a miracle God had preformed on our behalf! With that kind of money we could purchase less expensive land and use the remainder to finally build our church! 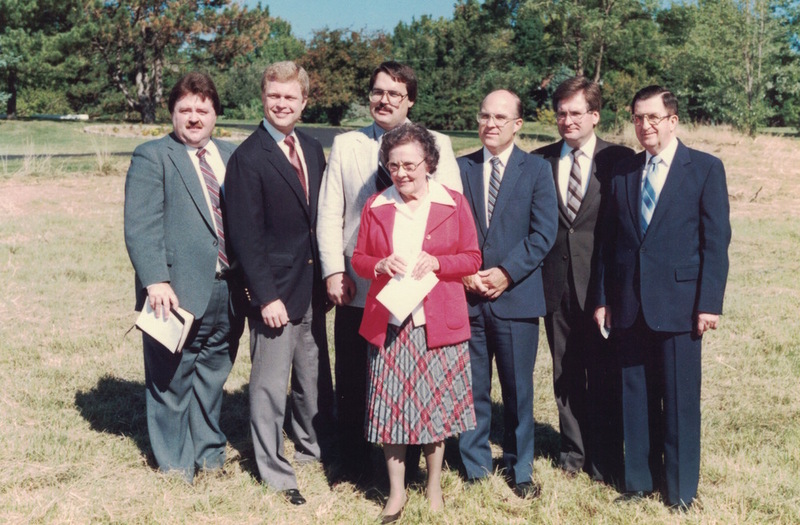 With Jerry Oster as our pastor, a land search was begun, and eventually 5 beautiful acres along Wild Horse Creek were selected, at an asking price of just under 1 million. This was great news! But the excitement it generated was to be short-lived. New, serious obstacles developed! The sale of our property was contingent upon rezoning and there were city residents who strongly disapproved. Many of us here today remember repeatedly attending city council meetings; attempting to do what we could to sway council members over to our side. The evening the rezoning was voted down was a heartbreaking one! So was the loss of the Wild Horse Creek Property we had chosen; with no funds available we had to let it go. What we didn’t know, was that another miracle laid just ahead! First, the developer who had hoped to buy our church property contacted us and indicated that he was still interested, but without the rezoning, he would have to pay less - $500,000.00 less! We had struggled to find the million dollar property we had lost! Could we find another piece of desirable property for even less? We had to try! My husband, Tom, began the search, along with others. He made several phone calls, one of which was to Kathy Higgins, the President of Sachs Properties. Kathy was very helpful, and said she'd check into what they might have available. Later, it was Mr. Sachs himself, that returned Tom’s call. It was a day that l personally, will NEVER forget! Tom came bursting out of his office at about 90 miles an hour! He was shouting, “What is the best news you could ever imagine? I just got a call from Mr. Sachs of Sachs Properties, and what is just the best news you could imagine?" To which we responded, “l don't know, I guess that the best news would be that someone was willing to give us property." Still shouting, Tom cried, “That's it! That’s it! Mr. Sachs is willing to donate to us the property he owns at the comer of Wild Horse Creek Road & Baxter!" We were in awe that day, and we still are! The property Mr. Sachs donated to the West County Church, the property upon which we now stand, is only a few doors down from the property we lost! And, unbelievably, it is an even better piece of property! After several minutes of rejoicing, Torn began to fear the news was too good to be true, and that he MUST have misunderstood. With some reluctance and a little fear in his heart, he actually redialed Mr. Sach’s number, just to confirm. Mr. Sachs was away from the phone, but Mrs. Sach’s put Tom's fears to rest, assuring him the offer to donate property had indeed been made! To Mr. Sachs this congregation will forever be grateful! What a generous gift! What a blessing you have been! May God bless you too, Mr. Sachs for the generosity you have shown! And above all, this day, we give thanks to God, our loving heavenly Father. This is not a church of our making... we did NOT have the resources to build it! Let us never forget...this is God's House. 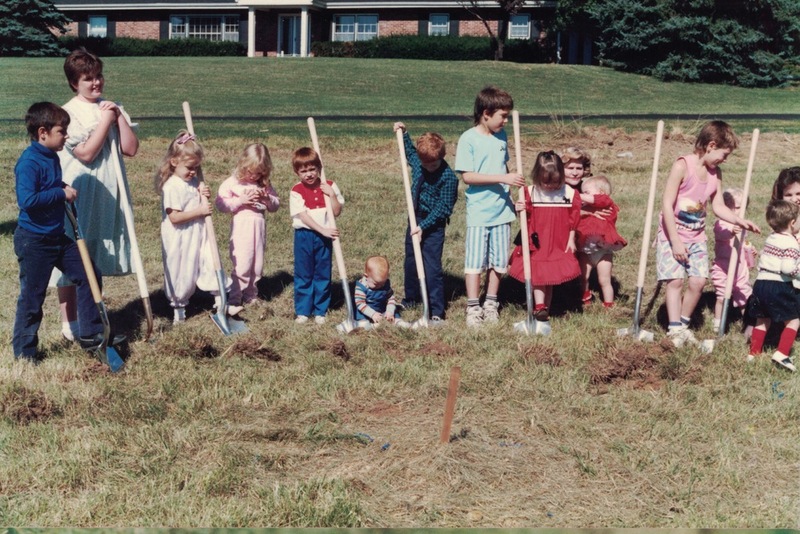 God led the West County Seventh-day Adventist Church 22 years ago when we organized, 21 years ago when we bought our first piece of property, and 15 years ago when we renovated an old house, gave Westwood School a home, and made our children our first priority! God led 5 years ago when we were first approached to sell our property, 3 years ago when Mr. Sachs made his generous donation, and today — as we celebrate our Open House, God is leading! Let us praise Him, and rededicate ourselves to following Him always, with our whole heart! To the God who is able to give richly, abundantly over that which we ever wanted or hoped be all praise, glory and honor forever! Praise the Lord for He is certainly worthy to be praised!